An overnight frost with a light breeze led to a chilly wait on the corner of Cleveland Street whilst everyone turned up for the 10am start. 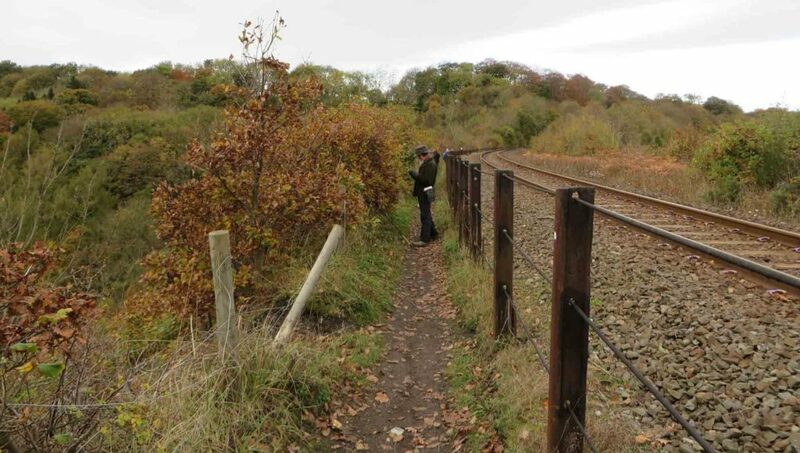 After a brief health and safety, followed by a quick whizz through the history of the site, we set off on the newly surfaced path past the allotments down towards Liverton Viaduct (also called Kilton Viaduct or Loftus Viaduct). I’d always wondered why it was called a viaduct when it clearly wasn’t a viaduct except it turns out it is a viaduct except one of the pillars was dodgy in 1911 and so they dumped vast amounts of mine waste on it to turn it into a vast pile of mine waste with a railway track on the top but a viaduct inside…which nature has since recolonized to get what we see today. Some old photos of it all can be seen here http://www.image-archive.org.uk/?s=Kilton+Viaduct&submit.x=13&submit.y=10 . 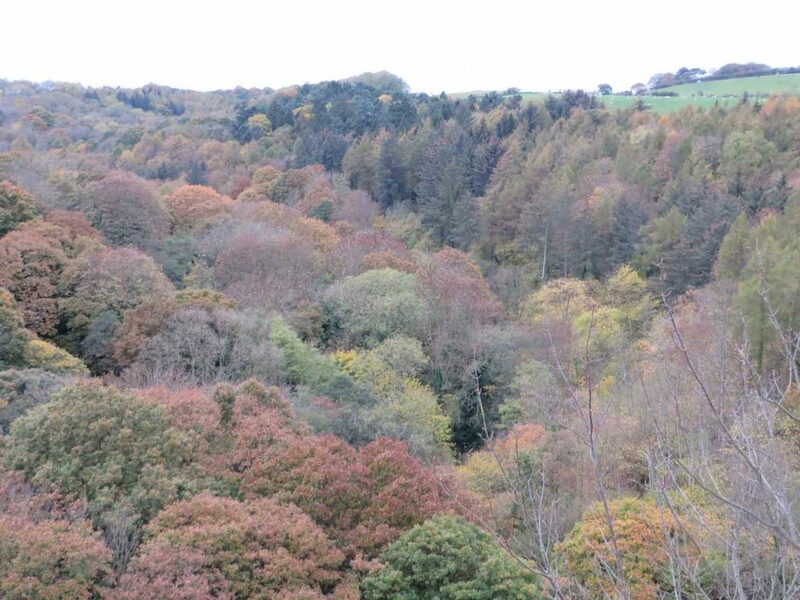 and then up the Kilton Beck valley which forms one of the longest continuously wooded areas within the Tees Valley. 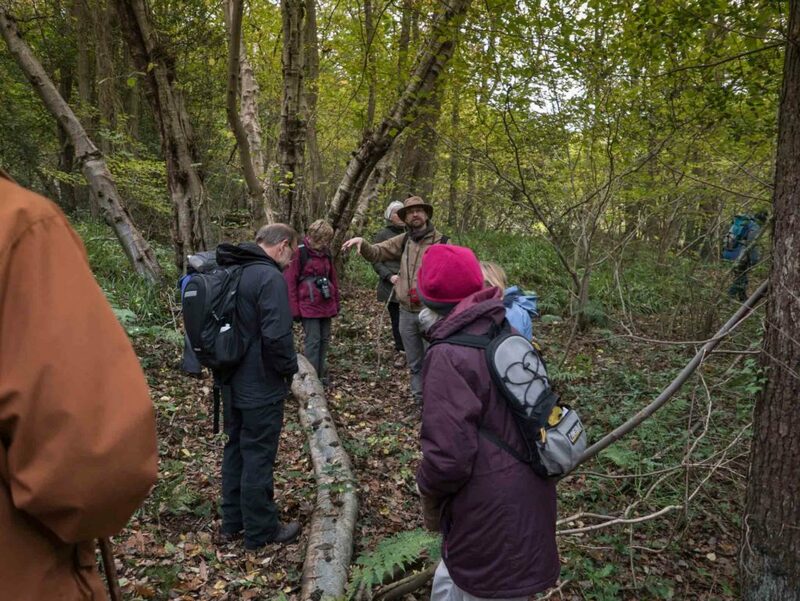 After a bit of discussion and some of the group going even further along where they found fruiting shrubs of apple (the eating type) and the locally scarce native shrub spindle, we went back to the valley edge and then along the top path. 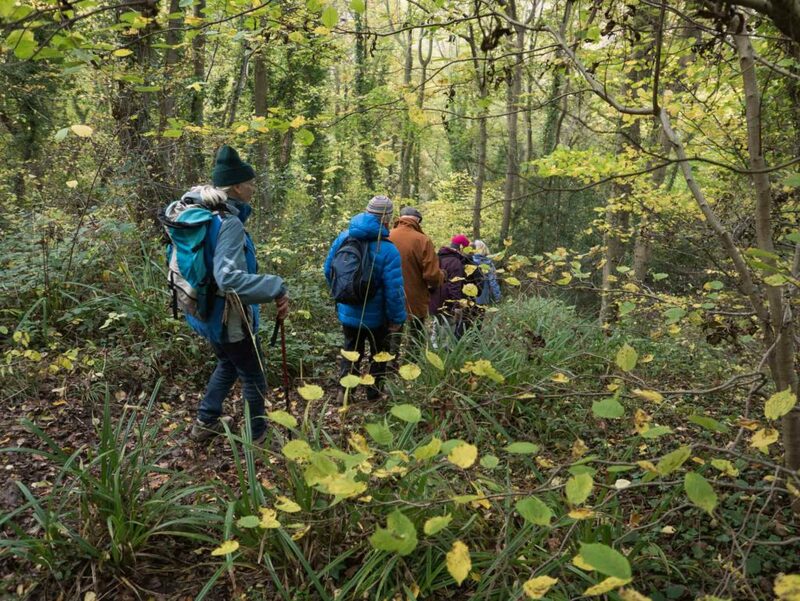 A quick sidestep later and we had all strung ourselves out onto a narrow path between the mine spoil heaps and the ancient woodland. Our way descended gently and we wandered through, stepping on rustlingly crisp leaves and identifying the trees and vegetation around us. Eventually we reached the steps of the summer walk and then we descended to the bridge and ford below. Heading upstream towards the locally rare Dutch Rush we then passed the knobbly coppiced ancient alder tree and went uphill where we stopped for chocolate (an interesting blackcurrant and liquorice which sounds a bit wrong but was cleverly teamed with the right sort of dark chocolate and so was most definitely right, creamy cappuccino, and a mint). Then off along the narrow path climbing over fallen poplar (a non-native that had been planted here) by the decayed trunks of wych elm felled by dutch elm disease in the 1980’s but still wrapped with living ivy flowering some 30 years later, and on near the pond with orange seepage possibly from the ironstone mines, until we stopped by the small-leaved limes that have been coppiced over and over again for hundreds of years. Nearby was a very large and old coppiced downy birch. 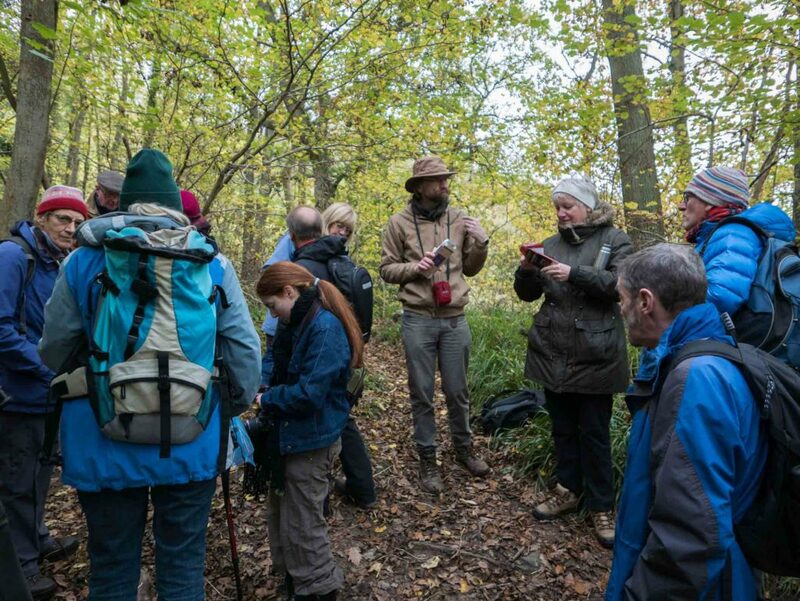 A long climb then followed, up a stepped path with the occasional pause for fungi or to discuss what a sessile oak leaf looks like before continuing up to the top of the wood and then onwards to rejoin the path between the mine spoil and the ancient woodland before turning back towards the village of Liverton Mines.